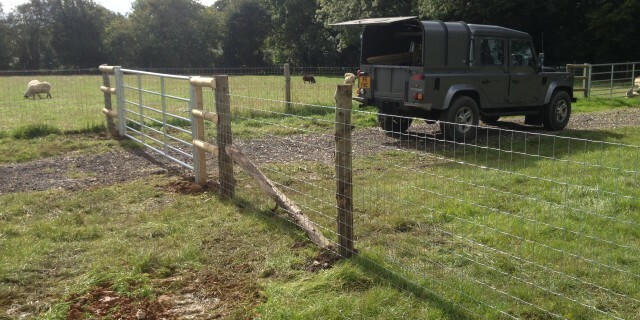 This customer in Four Marks, Hampshire need a fence to keep her Horses and Sheep contained and safe. 110cm high horse netting which has squares too small for a horses hoof to get stuck in fixed to naturally long lasting sweet chestnut posts proved to be a cost effective solution. We added a strand of electric fencing to this for added peace of mind. The galvanised gate was chosen without angle bracing for horse safety and because (generally) horses don’t eat galvanised gates!